Looking up the line from the base. Top terminal and breakover towers. Looking back towards Mountain Village. Looking down the middle part of the line. Bottom station and Lone Peak. Big Sky really should have replaced Swift Current before they replaced Ramcharger. 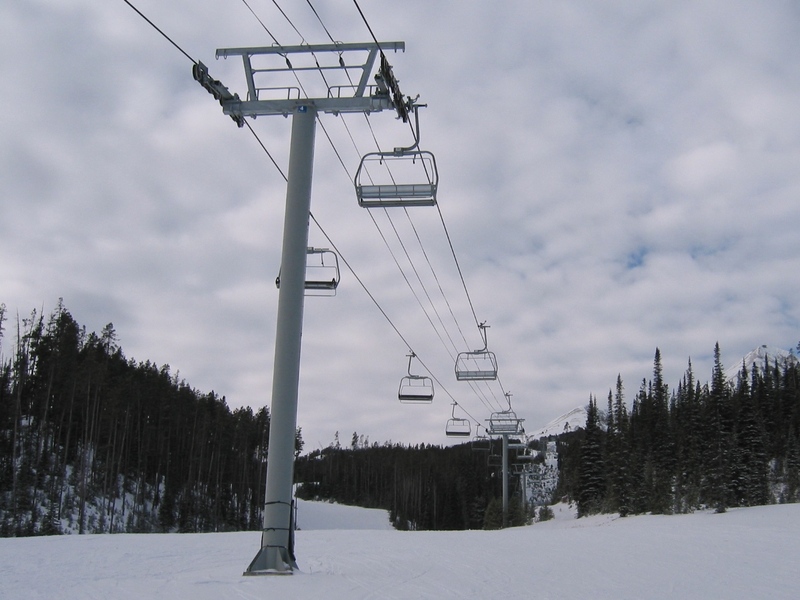 Since the gondola is gone Swift Current is now their main lift. It should be a D-Line 8 pack similar to Ramcharger. 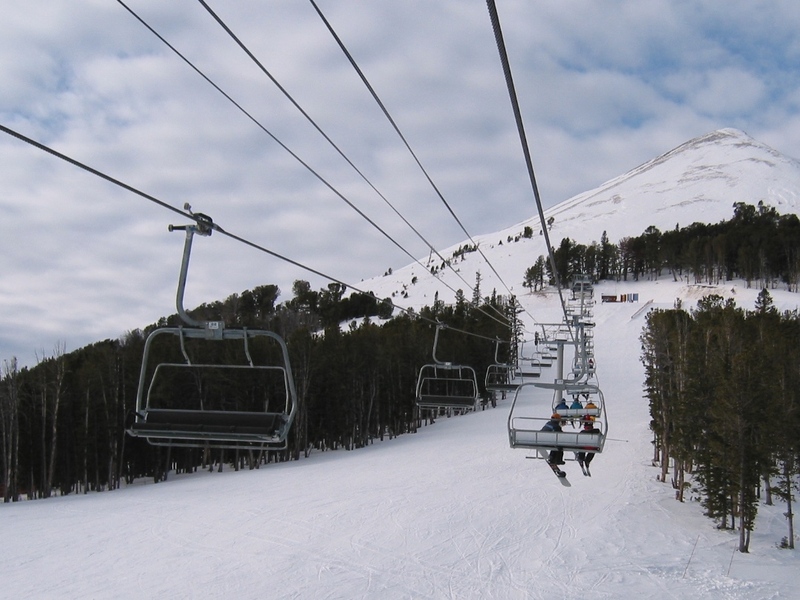 With Big Sky planning to install a two stage gondola from the base to the top of Explorer and onto the bowl during next offseason, this lift will have a lot less traffic. 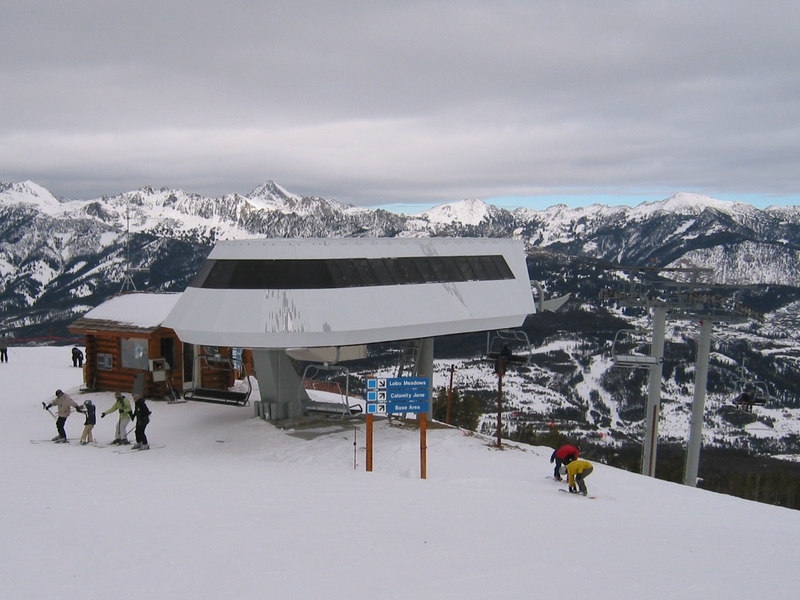 Regardless, they are planning on replacing this lift with a 6 or 8 person bubble lift in 3-6 years. 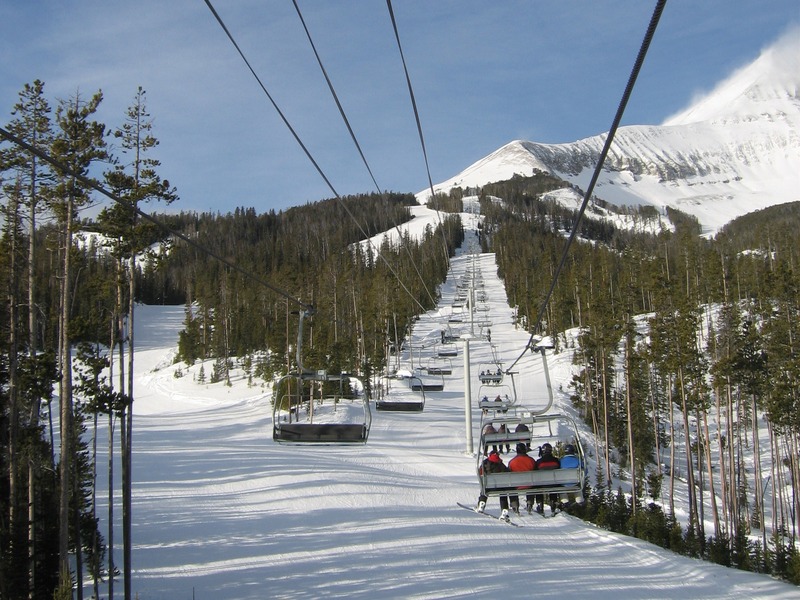 They are considering relocating it to the Moonlight Basin area when this occurs, as they want to install a lift from the base of Six Shooter to the top of Lone Tree. I don’t think Big Sky will build another 8 pack. 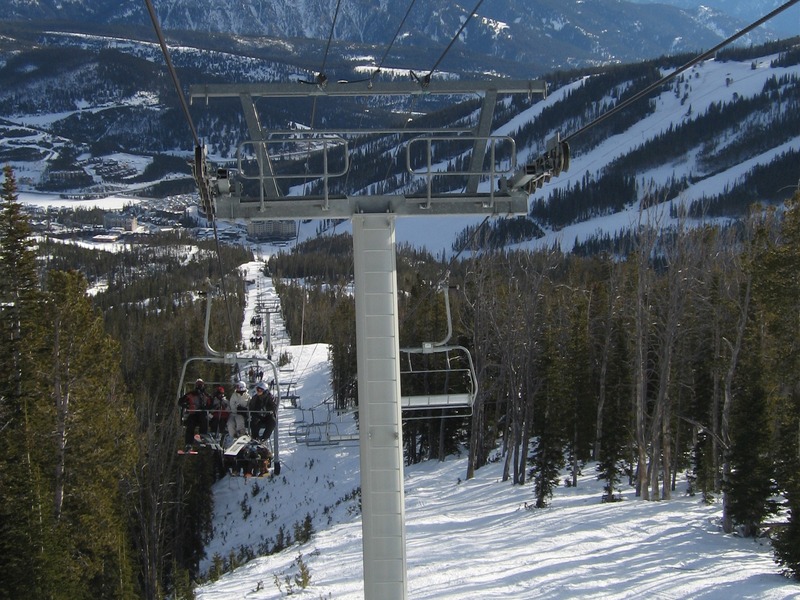 Ramcharger 8 was a marketing thing for both Big Sky and Doppelmayr. 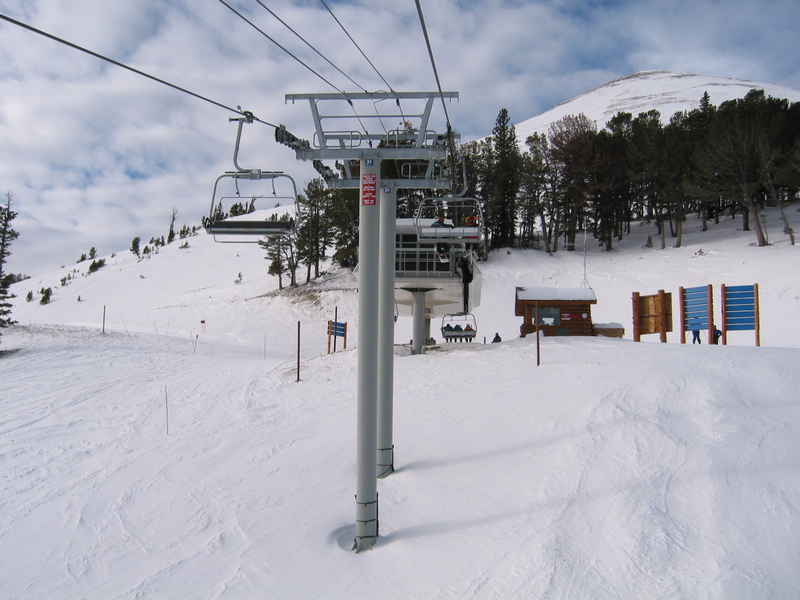 I heard Doppelmayr asked Big Sky to build this lift and gave them as discount as the first to build a D line 8 pack in the world. 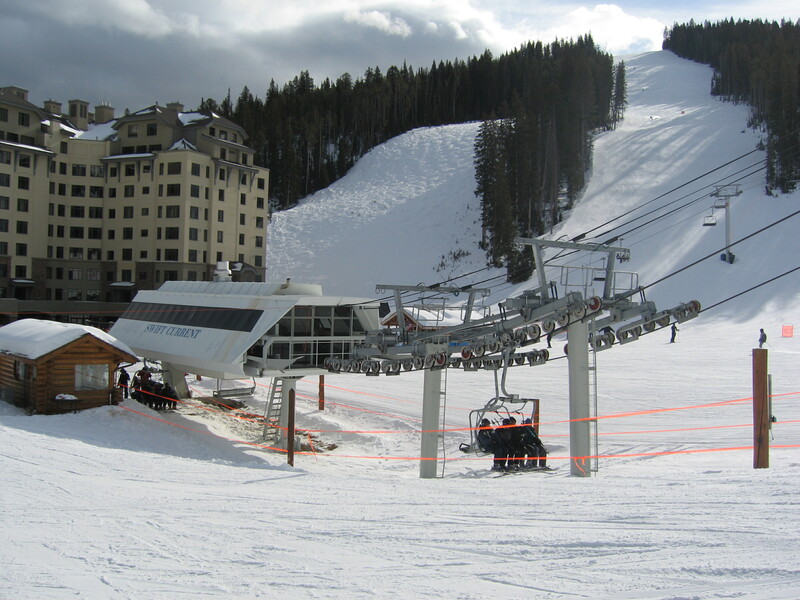 I believe the next significant lift project is a two stage D-Line gondola. First stage will replace Explorer and second stage will continue to where Gondola 1 ended. 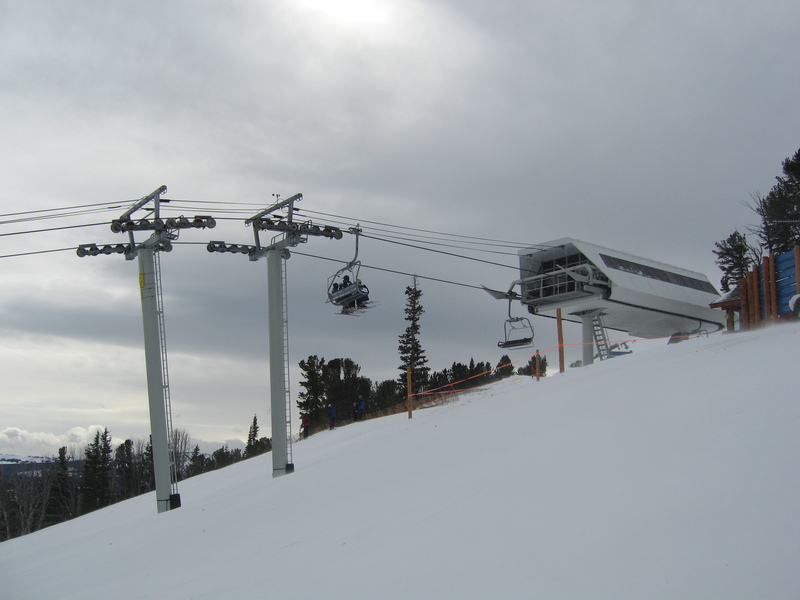 The gondola will be the main out of base lift and this lift will only be a backup to it. Replacing Ramcharger first also allowed them to move the quad over to Shedhorn which they really wanted to do. I’m not sure Swift Current will even be replaced as part of the 2025 plan as the gondola should provide all the additional out of base capacity they need. 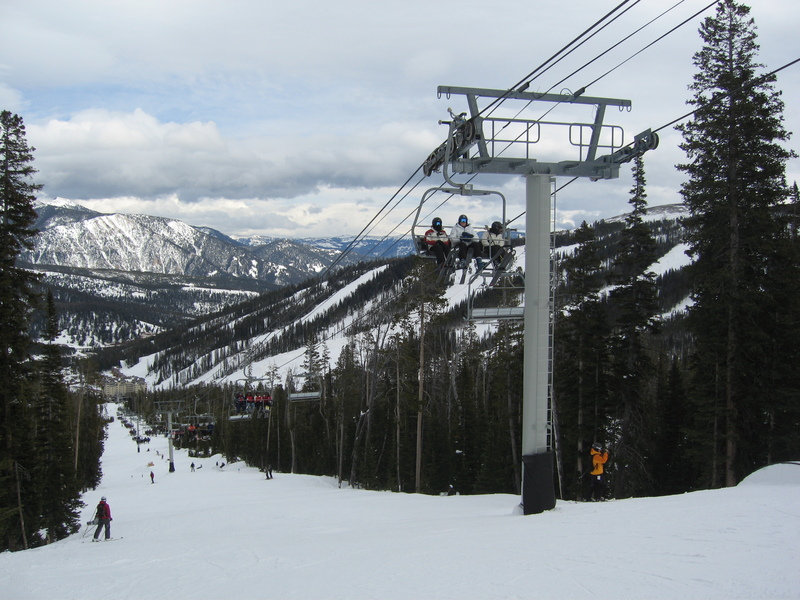 Swift Current will be replaced in the late (post 2022) phase of the plan, after the gondola has been built. Although I would not be surprised to see a upgrade of the existing Swifty terminal and line equipment and replacement of the chairs with Bubble quad chairs. I doubt they will spend that much money on a secondary lift once the North Village Gondola is built. Supposedly they are starting the Gondola next summer! It was always supposed to be around 2020 or so. This year’s big project is renovation of the Mountain Mall. The original plan was for Ramcharger, Thunderwolf, and Swift Current to go bubble-6 and relocate the quads elsewhere. Since then they changed Ramcharger to an 8 and switched to replacing Southern Comfort over Thunderwolf. I also doubt they will build another bubble-8, but I think all new detachables for Big Sky will be D-Line from here on out. Ramcharger makes sense as an 8 because it is the ONLY way to Andesite from the village. Swift Current is backed up by Explorer at the moment. 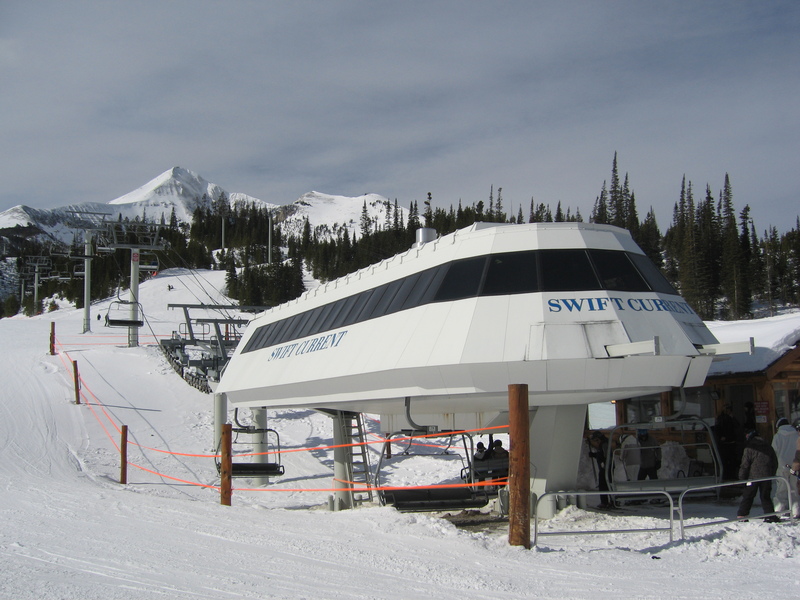 I think Swift Current should be the absolute last priority in terms of 2025 plan lifts since it will be relegated to backup duty once the gondola is built. If they want to replace just so they can relocate, then I think that location should just get the new lift. Do you have any source on the substitution of Southern Comfort for Thunderwolf? Thunderwolf’s a lot older, so I’d imagine that it needs the upgrade more. My source is the 2025 plan website. I believe the plan is to go to a bubble-6 and relocate the quad to Lone Moose. The thinking is with the new hotel going in at Spanish Peaks that they need more capacity at SoCo as anyone coming out of SP MUST ride it. I guess Thunderwolf will stay where it is until it is ready to be scrapped. From what I can tell it never has a line. I heard the oppsite, that they are now just replacing Thunder Wolf instead of both Thunder Wolf and Southern Comfort. Is anything not getting replaced that should be? Not at the moment, will be interesting to see what happens in the coming years!! Pony is only a real estate access lift and has very low ridership. 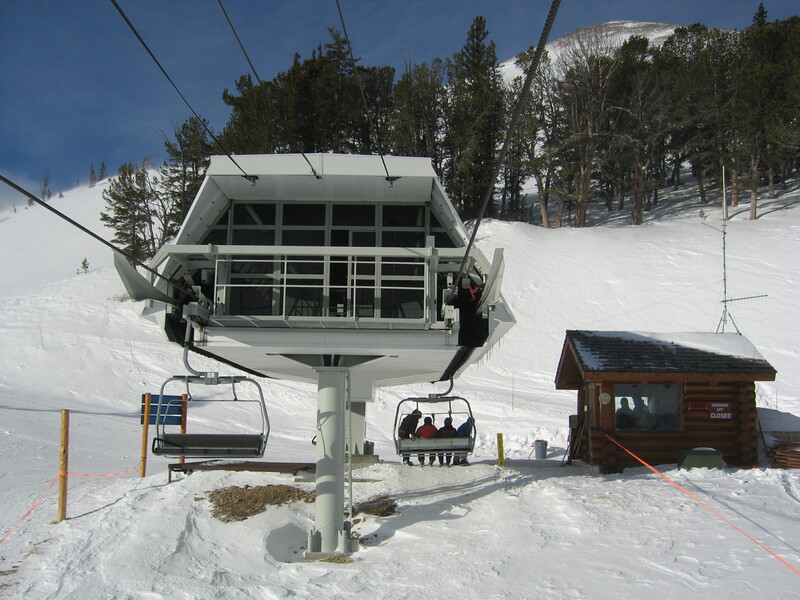 Replacing and extending Iron Horse, I assume going detachable and bringing it all the way up to the top of 6 Shooter is a late stage project and would greatly improved flow between the Village and Moonlight base areas. The Liberty Bowl lift was removed from current plans. If that lift were built, there might’ve been more reason to upgrade Dakota. It’s so far out of any base area that I just don’t see it making sense to spend money on to upgrade. I heard that Pony/Iron Horse will be replaced with a detachable four chair from the base of Pony Express to the top of Six Shooter. The 2025 website still has the replacement of Thunderwolf with a bubble-6 on it Collin. I dont see it there anywhere, just southern comfort. So the gondola is most likely a summer of 2020 project?